Beer still reigns King in the world of adult beverages!!! Over the past few years, wine and spirits have been stealing beer market share. But the long time champion is making a steady come back. For the first time since 2002, beer’s lead over wine & spirits has returned to double digits. According the Gallop’s recent annual Consumption Habits survey, 42% of U.S. drinkers declared beer their beverage of choice, up from 40% last year. The popularity of beer still does not compare to its heyday during the 1990s — when nearly half of Americans cited beer as their preferred alcohol beverage. Major preferential differences can be seen in age group polls. In the age segment of 18 to 29 year-old drinkers, preference for spirits and wine continues to gain on beer — which is still preferred by 45% of those polled in that age group. In contrast, wine is the preferred beverage of older drinkers, and has been since the early 1990s. Drinkers aged 50 and older have also had stable preferences in recent years. Despite the previous two findings, overall preference for beer has experienced a signifcant increase in the last year. This is largely due in part to the Americans between the ages of 30 and 49. In combined data from the 2004 and 2005 Consumption surveys, drinkers between 30 and 49 were about as likely to prefer wine as beer. Now, drinkers in this age bracket have shifted back to beer, with an average of 47% in the combined 2007-2008 data saying they most often drink beer. As for the number of drinks that adults consumed last year, beer declined to 56% from 60%, while wine and spirits grew to 14% and 30%, respectively. Yet, even with declined consumption, beer continues to represent the largest segment in the alcohol beverage category in volume and dollar sales. Sixty-two percent of Americans say they drink alcohol, a percentage that has varied little in the last 10 years. The average drinker reports having consumed 3.8 alcoholic drinks in the past week. This is the first time the average has dropped below 4 drinks since 2001. It had been as high as 5.1 in 2003. Continuing a recent trend, Gallup finds a higher proportion of drinkers claiming to have had an alcoholic beverage in the last 24 hours. Exactly 36% of Americans have reported drinking alcohol in the last 24 hours in each of the last four Gallup consumption polls. This compares to an average of 30% from 2000-2004. “Daily drinking” is more common among Americans of higher socioeconomic status. Over the past four years, an average of 42% of college graduates report having had a drink in the last 24 hours, compared with 32% of those who have not graduated from college. Similarly, 41% of drinkers with incomes of $75,000 or greater say they have had a drink in the past 24 hours, compared with 36% of middle-income respondents (those with household incomes between $30,000 and $74,999) and just 23% of those residing in lower-income households (with incomes of less than $30,000). Men are more likely than women to have had a drink during the previous day, 43% to 28%. Older drinkers are more likely than younger drinkers to have consumed alcohol in the previous 24 hours — 39% of those aged 50 and older say they drank in the last 24 hours, compared with 35% of those aged 30 to 49 and just 28% of those below 30. “Saison” is the French word for season. It is also the name used for seasonally brewed Belgium farmhouse-stlye ales. The first saisons originated in in Wallonia, the French-speaking region of Belgium. Historically saisons did not share identifiable characteristics to pin them down as a style, but were rather a group of refreshing summer ales. Each farm brewer would make his own distinctive version. Saisons were traditionally brewed in the autumn or winter for consumption during the late summer harvest for farm workers. Because of the lack of potable water, saisons would give the farm hands the hydration they needed without the threat of illness. Farm workers who were entitled to up to five liters throughout the workday during harvest season (not a bad deal, eh?). In order to properly preserve the beer to prevent spoilage during the long storage, saisons were typically strongly hopped. Today they are brewed year round in a few different countries. Whereas traditional saisons were typically around 3.5% alcohol, modern-day saisons — generally bottle conditioned — have an average range of 5 to 8% abv. “Saisons usually have a citric, peppery, quenching, quality, due variously to hard water, heavy hopping, spicing or deliberate souring. They are usually amber to orange in colour, and often very quite dry.” — Michael Jackson. The Best Beer in the World. Period. With its luminous orangey-blond color and huge, rocky head, this beer just looks great. But wait till you taste it: Like other saisons, Dupont’s is made with a secret mix of herbs that give it an addictive earthy taste and an agreeable bitterness. At 6.5 percent, it’s also got a mild kick, which balances a range of citrusy, malty flavors that even wizened beer connoisseurs struggle to describe. “Impossibly delicious,” says legendary brewmaster Garrett Oliver. 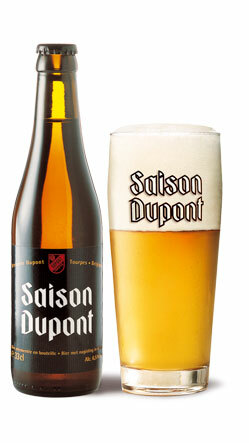 Saison Dupont is the “desert island beer” of many men (Oliver and present company included). Pop a cork, guys — we think you’ll feel the same way (brasserie-dupont.com). Modern saisons brewed in the USA tend to copy the yeast used by Brasserie Dupont, which ferments better at blood warm temperatures (85 to 95 Fahrenheit) than the standard 65 to 75 Fahrenheit fermenting temperature used by other Belgian saison brewers. Many of you may remember my first experience with the saison style ale was this past May while I was visiting Chicago for the National Restaurant Association show. I enjoyed both the Goose Island Saison as well as the infamous Saison Dupont. Since then I have tasted many other brands, both U.S. and Belgium. Perfect ale for the summer time. GO FORTH AND FIND ONE (or two or three). This weekend marks the 1 year anniversary of Startup Weekend. Startup Weekend recruits a highly motivated group of developers, business managers, startup enthusiasts, marketing gurus, graphic artists and more to a 54 hour event that builds communities, companies and projects. In order for a city to be eligible for a Startup Weekend, it must receive a substantial amount of votes on the Startup Weekend website. 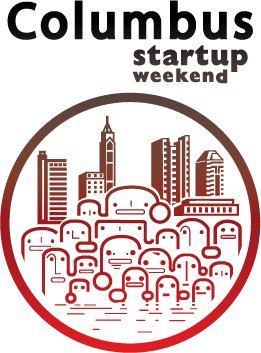 Once a city dominates the voting and remains at the top for a significant amount of time, Startup Weekend grants the city the opportunity to host an weekend. Each selected city is responsible for planning, organizing, promoting and implementing their own Startup Weekend as well as securing an event location and sponsorship. 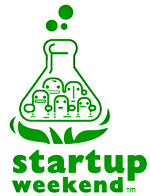 Startup Weekend LLC provides each city with advice and tools to help them run a successful event. A member of the Startup Weekend LLC team is sent out to every Startup Weekend to help facilitate the event. Naturally, I have had a hand in the organizing and planning of Startup Weekend Columbus. Originally, I learned about the event through the local Columbus blog the270.com. A few local bloggers, including myself and the270.com, promoted the concept to the city of Columbus and we were able to receive enough votes to be awarded our own weekend. After being selected for the event, Alvin and I exchanged emails and decided to get the proper people together to organize and plan the event. We brought in Chris Anderson from TechColumbus, Tim J Eby from WOSU Public Media, Jamie Timm from the Columbus Chamber of Commerce, Rocky VanBrimmer from Minister Realty and began to hit the grindstone. TechColumbus graciously offered to serve as both the host of the event as well as a significant sponsor. After several months of collecting sponsors and planning, Startup Weekend Columbus is finally upon us. Last night marked the first evening of the weekend. As of last night, Startup Weekend Columbus has already broken the record for amount of beer consumed in one night of Startup Weekend. And we have not even gone through half of it!!! Tonight we will be enjoying more delicious beer as the creative juices keep following and the tech geniuses among us begin to materialize ideas. Later this evening, post dinner, Startup Weekend Columbus attendees will have the opportunity to relax and unwind while be entertained by local funk band, SUAVE. Thus far, I am having a blast. I have had the honor of meeting and interacting with some of the most intelligent minds of the Columbus community. A New American King Of Beers?? Early morning on July 14, 2008 will forever go down in [beer] history as the day the greatest corporate world beer “independence” battle ended. The self-proclaimed [American] “King Of Beers” has been dethroned. As of this past Monday, Budweiser brewer Anheuser-Busch is now under the dictatorship of Belgium based beer company, InBev. “The King of Beers will have to pledge allegiance to a new European-Latin American master,” said British trade publication Just-Drinks. The $52-billion merger will create the world’s largest brewer to be called Anheuser-Busch InBev. Anheuser-Busch shares rose 26% after reports of InBev’s planned bid in May. They gained $5.29, or 8.6%, on Friday and closed up 37 cents at $66.87 on Monday. This merger marks the end of Anheuser-Busch’s 150-year reign as the largest American owned brewery. As a result, the hypothetical “beer crown” has been seized by long-time Anhueser-Busch rival, Pabst Brewing Company. Pabst Brewing Company, which owns dozens of beer brands and contracts with MillerCoors LLC to create most of its brews, has now staked its claim as the largest remaining American-owned beer maker. No longer will Americans raise bottles of Bud to celebrate the nation’s independence. Instead, they will be raising cans of red, white and Blue Ribbon??? Oh, I hope not. Someone gag me now. All I can hope is that the sale of A-B to an international company will result in a [dramatic!] 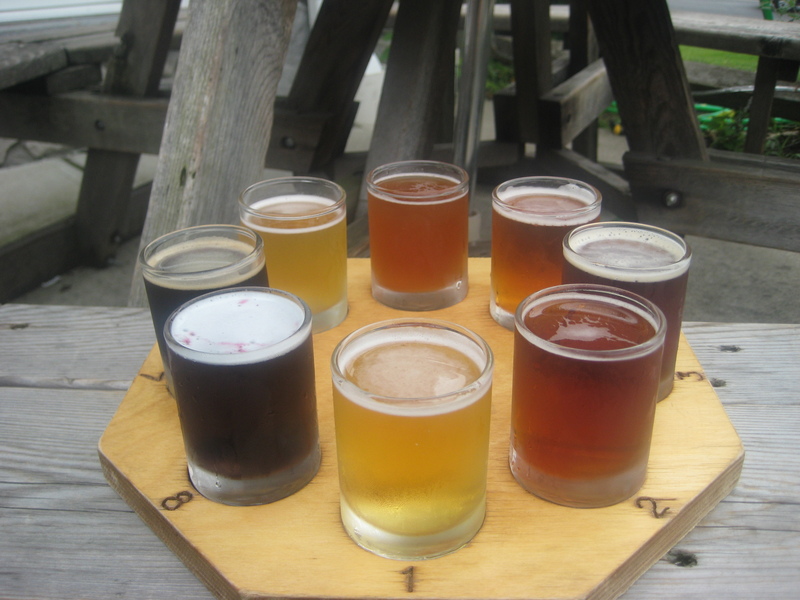 increase in sales for the U.S. craft beer industry. After all, in the crumbling economy of the present, us consumers need to support the small guys more than ever!!! Many people have asked for my opinion on the merger of InBev and Anhueser-Busch. My response? Well, as for the beer … I could care less. I would rather drink transmission fluid laced with arsonic before so much as touching an Anhueser-Busch product. Yes, I understand that this makes me sound pretentious and snotty. Frankly, I am not. I do not support gloablization across every spectrum of my life, regardless of the industry. Quality is a huge factor in my purchasing behavior. 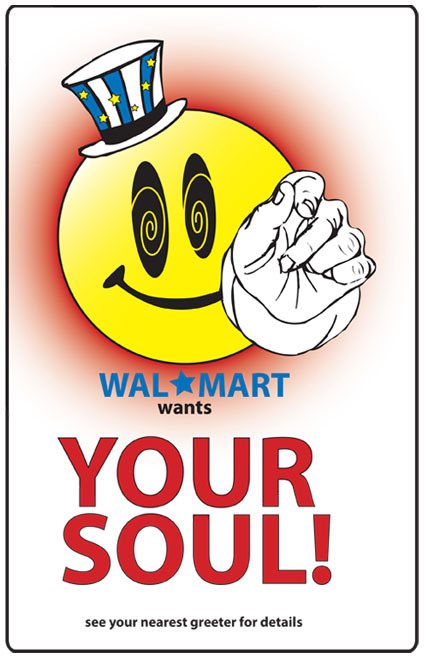 Many large corporations make the choice to sacrifice quality for quantity and profit. That is not how I roll. I would rather pay the premium price for a high-quality beer such as Dogfish Head, than subject my vessel of life to the corn mashed pee-water that is known as Budweisser. Dogfish Head beer is brewed with the freshest, the highest quality, often locally produced ingredients possible. Every single beer is hand-crafted with love. The beer is brewed in the name of love for the art of beer making. The only issue I have with the afforementioned merger is that an America has lost a MAJOR domestically owned company. 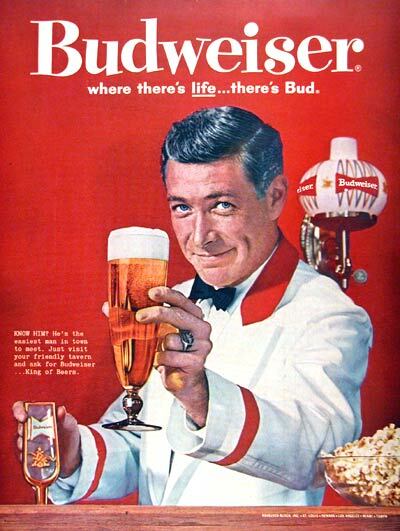 Anhueser-Busch was already cutting American jobs left and right prior to the merger, with intentions to continue. I can only fear what will happen to American jobs and the American economy with one of its major corporations now in the hands of a foreign company. Please have mercy on us, Belgium. Not all Americans are ignorant, selfish and arrogant!!! We all know that I love beer. That is a given. Like almost every beer drinker, I enjoy eating a good salty snack while sipping the nectar of the gods. Pretzels, nuts, chips, fries (well ANYTHING fried) … and the list goes on. Recently, I have been really getting into chips. Two of my favorite brands are Kettle and Terra. Each flavor combination found on Kettle™ brand chips is so distinct and delicious they inspire a passionate following from our fans. Everyone has a favorite flavor, whether it’s on our regular, baked, organic, or tortilla chips. Along with our other healthy snacks, each potato chip flavor is crafted with care by our talented Chief Flavor Architect and taste approved by our founder, who made the very first bag back in 1982. Kettle makes a ridiculously good flavor called Spicy Thai. If you have never tried them, I advise against it. They are highly addictive. As true chip innovators, we love a challenge. So when a fan suggested that we take Thai cuisine’s complex balance of flavors – sweetness, spice and salt – and balance it on a chip, we reached for our passports. We’ve incorporated the refreshing sweetness and snap of ginger and the red peppery pop of Thai spice to create a collision of East and West in the crunch of the world’s most worldly chip. Have Kettle™ brand – will travel. No passport required. About Terra: Founded in 1990, Terra has pioneered new varieties of exotic vegetable chips and potato chips that have carved a new niche in the natural snacks market. Terra has always had a tradition of creating chef-inspired masterful combinations of unique vegetables with a variety of fabulous flavors. Savor the finest flavors made famous in Mediterranean sunshine, a superb balance of garlic, oregano and cold-pressed olive oil. A combination coveted for centuries across the globe, you can now immerse your senses into the magnificence of Mediterranean Terra Chips wherever you go. Simply feast your eyes upon the vibrant colors of Terra’s original exotic array of root vegetable chips– taro, ruby taro, sweet potato, yuca, batata, and parsnip. Feel the natural texture of nature’s specially selected roots. Hear the crispy crunch that accompanies every bountiful bite. Lose yourself in the unmistakable aroma. And finally, taste this tantalizing culmination of the senses… Mediterranean Terra Chips. But I digress. This post is not about my favorite chips. This post is about a new brand of chips I recently stumbled upon while surfing the Internet. 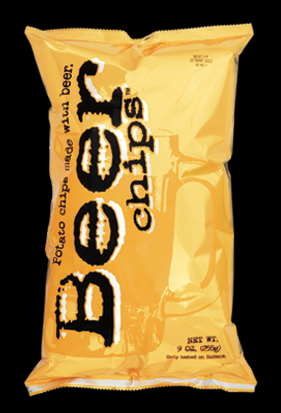 I present to you BEER CHIPS: chips made with … well … BEER!!! The “Beer Wench jury” is still out on this concept. Whereas I love beer and I love chips, I am not sure how well the two would taste together. I wonder what style beer the chips are flavored with? I cannot help but assume the chips taste similar to one of the many corporate mass-produced, urine-flavored “beers” made with a sub-par combination of corn, wheat and barley malt and virtually no hops. But, hey that is only an assumption. Either way, it seems to be a good marketing gimmick and has definitely gotten my attention. Which came first – the potato chip or the beer to drink after eating it? These babies are thick-cut kettle style chips with a serious coating of sugar and salt and to top it off, covered with a major dose of the world’s most perfect beverage…beer. These guzzle worthy chips provide a common sense answer when the inevitable and life-altering munchies come along and your stomach has taken over the thinking process with the only words it knows is “Beer & Chips”. By really thinking hard one afternoon, the inventor of Beer Chips® created this technical beer-o-vation breakthrough. Beer Chips® will be there for you to help you truly multi-task while you watch your favorite game or hang out with friends. A virtual party in your mouth delivered in a shiny golden amber bag. The beer snack god is now in the house. If anyone has a chance to sample these, send me a review!!! For now, I’ll stick to my Kettle and Terra chips!!! It has taken a few [rather pathetic] attempts, but The Wench has finally embraced and is actively using Twitter!!! To follow me, click on my profile link. Not familiar with Twitter? Well, you should be! Twitter is a free social networking and micro-blogging service that allows users to send updates (otherwise known as tweets) which are text-based posts, ranging up to 140 characters long. Updates are displayed on the user’s profile page and instantly delivered to other users who have signed up to receive them. The sender can restrict delivery to those in his or her circle of friends (delivery to everyone is the default). Users can receive updates via the Twitter website, instant messaging, SMS, RSS, email or through an application such as Twitterrific or Facebook. Several third parties offer posting and receiving updates via email. For those of you who are familiar with AOL Instant Messenger, I like to describe Twitter as a constant thread of away messages. Twitter allows people to provide a community of “followers” with “life” updates as frequent as they wish. At first, I thought I needed a PDA or i-phone to be opt in to this community. Whereas having those tools does help and increase usability, they are not necessary. In order to pull off Twitter, all you need is a computer, an internet connection, and the willingness stay up-to-date with your tweets. See you on Twitter, my lovely tweets. My earlier years of beer drinking were shaped significantly by the town of New Paltz, NY. 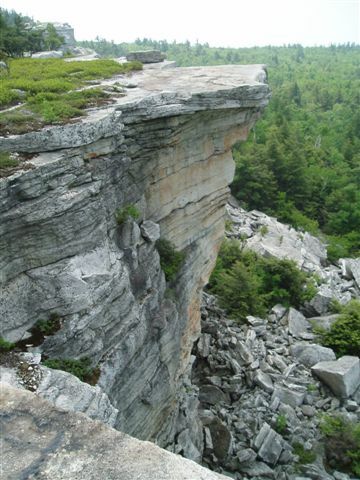 Every spring, summer, and autumn my family and I would spend many days hiking at Minnewaska State Park in the “Gunks”. 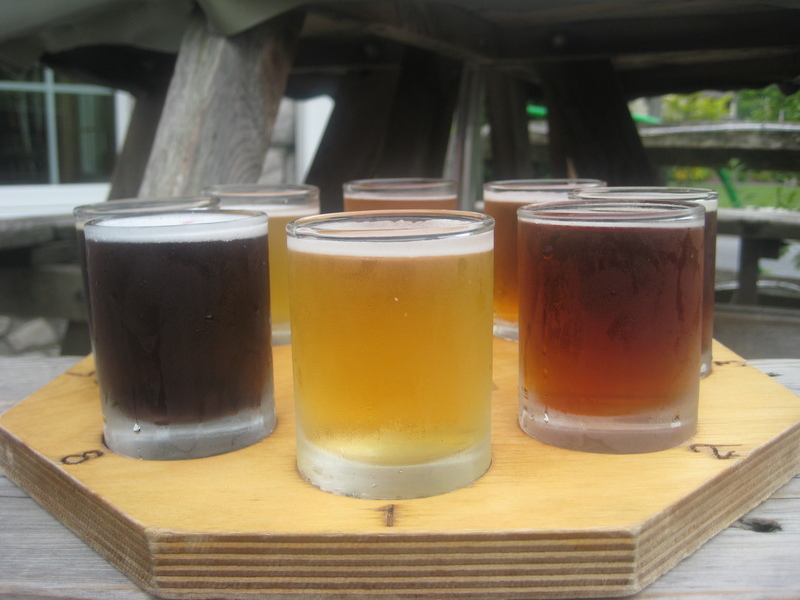 We would reward ourselves with several cold beers at the bottom of the mountain in the town of New Paltz. And there was really only one destination for this tasty reward. The Gilded Otter, the best brewpub in the Hudson Valley. So when I came home to New York for the Fourth of July, it was only appropriate that I revisited the Gilded Otter for an official Beer Wench review. Disclaimer: My love for the Gilded Otter brewpub comes from mostly from nostalgia. Although the beer is definitely not the best out there, it still holds a special place on my tongue and in my heart. On any given day, the Gilded Otter has 8 of its beers available on tap. 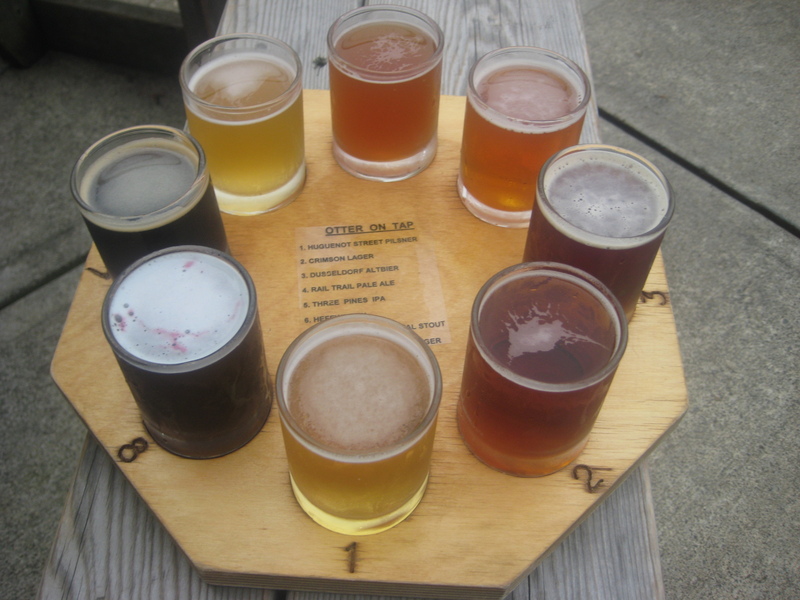 As like most brewpubs, the beers change by season and even rotate within season. Regardless of the beers on tap, though, the Beer Garden is always on the menu. Description: This lager has a light body and a delicate flavor, similiar to a domestic Pilsner. 3.8%abv. Review: Light yellow color, clear clarity. Straw yeast and acidic aroma. Small head, decent lacing. Mildly carbonated. Straw malt taste. Low malt, low bitterness, low acidity, low alcohol. Overall: Nothing to write home about. Light beer with little character. Description: A sweet malt flavor with a delightful hop aroma and finish. A great red lager. 4.2%abv. Review: Light copper color, clear clarity. Very little head, little lacing. Low carbonation. Mild grass aroma. Acidic tree bark taste. Mild acidity, low malt, mild bitterness. Overall: Once again, not extremely impressed. It was average for an amber lager. Description: D2-Time Bronze Medal Winner, GABF 2001 and 2005. A brown ale, with a toasted biscuit flavor and a medium hop bitterness to give a smooth finish. 5.4%abv. Review: Dark brownish amber color, clear clarity. Creamy off-white, caramel colored head. Toasted malty caramel aroma. Good lacing. Mild carbonation. Mild yeast flavor. Great balance between malt and hops. Overall: Surprisingly delicious German brown ale. Would definitely order a pint. Description: Medium bodied pale ale. 4.5%abv. Review: Orange copper color, clear clarity. Thick white head, good lacing. Decent carbonation. Light grassy aroma. Bitter and acidic taste (higher bitterness than the IPA that followed!) High acidity, mild bitterness, low malt. Overall: A pretty damn good pale ale. Nice balance with a delightful finish. The hops are definitely present, without being too overwhelming. Refreshing beer for a hot and humid summer day! Description: This copper ale is full-bodied and super hoppy. 5.7%abv. Review: Orange copper color, cloudy clarity. Mild white head. Toasted malt and doughy yeast aroma. Thick carbonation. Toasted nut malt and pine hops taste. Thick and oily. Overall: Decent IPA. The malt was definitely present, and stood out more than the hops. Really enjoyed the pine-like flavor of the hops, but wanted it to have a stronger presence. Description: Medium bodied German style wheat beer. 4.5%abv. Review: Cloudy, light straw yellow color. Thick white head. Expected yeast aroma of banana, clove and citrus fruit. Nice carbonation. Light fruity, citrus, clove taste. Overall: Crisp. Flavorful. Refreshing. Delicious flavor. Would order a pint. Description: A full bodied stout with a bitter chocolate flavor. 6.4% abv. Review: Cloudy dark black color. Off-white, caramel head. Fair lacing. Strong coffee, bitter dark chocolate malt aroma. Highly carbonated. Well-balanced malt and hops taste. Strong bitter dark chocolate flavor with very mild sweetness. Moderate hops, moderate sweetness, low alcohol. Overall: Very well balanced. No one element over powered the other. The bitter dark chocolate flavor was surprisingly appealing. Description: A light summer lager fermented and served with fresh blueberries. 4.2% abv. Review: Light purple, gold color. Cloudy with real blueberries floating inside. Thick white head, heavy lacing. Strong blueberry aroma. Light acidity, refreshingly subtle fruit flavor. Tart bitterness. Overall: It is no secret that lager’s are not The Beer Wench’s favorite style of beer (especially when they are fruity). This beer, however, is an anomaly. It is rare to find a blueberry lager that actually tastes like the real fruit an not artificial flavoring. That is because it is real fruit! Real blueberries are floating in every pint. ABSOLUTELY DELICIOUS! The Gilded Otter brewpub is definitely no Dogfish Head. However, it is definitely a nostalgic local watering hole. 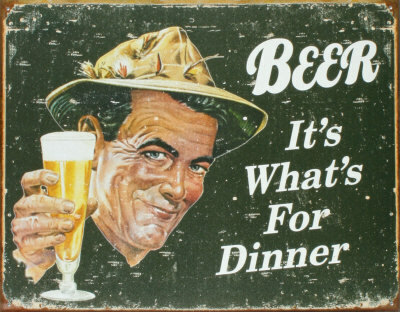 Good pub grub, decent house brewed beers, and a clean, hip and fun atmosphere. Gotta love it!